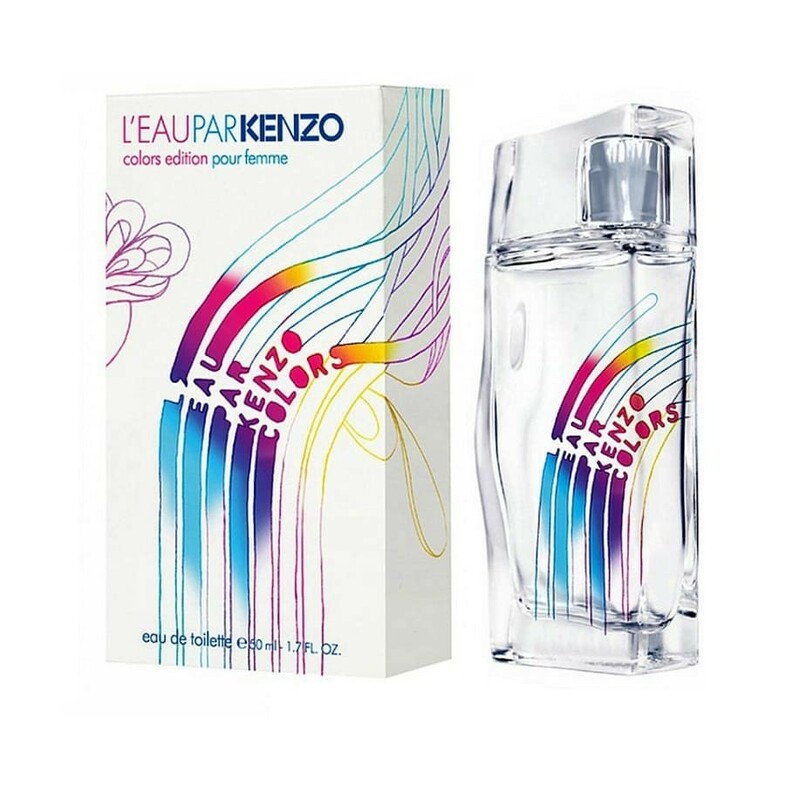 Kenzo launches two new editions of the L'Eau Par Kenzo fragrance called L'Eau Par Kenzo Colors. L'Eau Par Kenzo Colors Pour Femme and L'Eau Par Kenzo Colors Pour Homme are limited editions for 2013. Both fragrances are intended for summer holiday and beach season. Since water is colorless, Kenzo has found a way to give it good-mood bright colors. L'Eau Par Kenzo Colors Pour Femme is described as a light and refreshing floral-fruity fragrance. This relaxed, carefree and playful flavor is dedicated to optimistic women and girls. It opens with fruity and sparkling notes of white peach, mandarin and ginger. The middle of the composition houses flowers of rose, lily and jasmine, while the base consists of cedar and white musk tones.